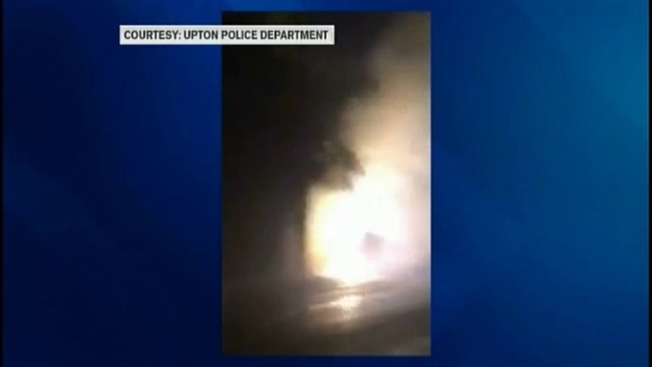 A lightning strike in Upton, Massachusetts, knocked down power lines Tuesday morning, sparking a fence fire. The incident happened on Main Street. Firefighters were able to put out the fire without incident. Roads in the area are back open. Lightning also struck a home in Raynham Tuesday morning. The incident happened at a home at 191 South St.
All occupants got out of the home safely.